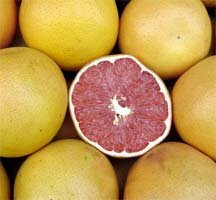 Taking A Closer Look At The Grapefruit Diet. The grapefruit diet itself started out during the 1930's when there was not nearly as much nutritional research as there is today. Learn more about this diet including a basic plan, recommended foods, rank, and more. Read on! You've likely heard of it before; the grapefruit diet. When you hear those words do you get strong thoughts of starvation crossing your mind? If you're like many this is probably the case. The classic stigma that goes along with the grapefruit diet is a temporary diet where you will endure a great deal of hunger in effort to lose weight while consisting largely on grapefruit and grapefruit only. But is that really what this diet's about? The grapefruit diet itself started out during the 1930's when there was not nearly as much nutritional research as there is today. Most individuals were under the mindset that you should simply eat less in order to lose weight. This still holds true today however now we know how the body responds to the various macronutrients and can use this information to formulate a weight loss diet that is more encouraging of weight loss from body fat rather than lean muscle tissue. 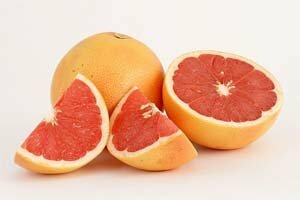 The rationale behind using 'grapefruit' as the miracle food on this diet is that it was believed to contain a special enzyme that would allow you to burn fat. When divulging further into the diet however we can see that you are also going to be restricting your calorie intake to about 800 calories per day, which obviously will have anyone losing weight. The basic plan of this diet, although there are a few variations out there, has you eating half a grapefruit or drinking an eight ounce glass of unsweetened grapefruit juice before you consume each meal. The theory is that by doing so, you will eliminate more fat from your body. Then, once you have consumed that you have a variety of foods to choose from, however all complex carbohydrates are to be avoided on this diet. The rules of the diet are that you must drink a minimum of eight 8 oz glasses of water per day, preferably more. Additionally you should also be following the exact amount of grapefruit or grapefruit juice specified; no more or no less. This is what creates the 'magic' in the diet supposedly. You are allowed to drink coffee however it's recommended that you only consume one cup per day as this can affect your insulin levels according to the diet. You are not allowed to eat between meals and should make sure you eat until full at each meal so you do not experience hunger in between. The diet states that you can double or triple the meat, salad or vegetable portions of your meals and no food should be omitted that is on the list of allowed food. It specifies that the bacon in particular is important as it works in combination with the other foods to promote fat loss. You are also allowed to use generous amounts of butter to prepare your food if desired. Exercise during the diet is not recommended because of the severe restriction in calories. This diet is only meant to last for 12 days however and any one who wishes to do it longer should be taking at the very least, two days off between intervals. So How Does This Diet Rank? Basically, monkeys eat more conducive diets to building muscle than you would if you were on this diet. First of all, this diet's sole basis is on some magical property of grapefruit, along with the combination of other foods promote fat loss. The only thing that would be magical about the diet is if you managed to remain sane while on it. There is a big discrepancy with the diet's recommendations however because they state that you are only to consume 800 calories per day, yet allow butter, bacon and jam, pasta and peanut butter. Unless the portion sizes they are using of these foods are so small you can hardly see them, try including all those foods and staying under 800 calories. It isn't likely to happen. Furthermore, they are banning some foods, which have no reason to be off your diet. Green beans are a very popular option among many fitness competitors as are green vegetables. It would be silly to avoid eating these while trying to lose weight. The next big issue with the diet is the recommendation for no exercise. Obviously on 800 calories this recommendation is valid, but maybe a better approach would be a more moderate calorie level coupled with some resistance training. Sorry, No Exercise On The Grapefruit Diet. It is well known that so long as volume is kept at an acceptable level, resistance training on a diet is what is actually going to help you retain muscle mass, even while on lower calorie, so this should never be omitted from a program. Just judging by the list of allowed foods versus restricted foods you should be able to tell that it is not a very sound plan for anyone to follow. Yes, grapefruit is a healthy fruit and would be a good idea to include on a diet, however, you will be much further ahead if you have it with other healthy foods, such as lean protein, healthy fat, complex carbohydrates along with a solid exercise program. That would be a diet that will get you seeing results. You definitely do need to reduce your calories to lose weight and for some very small individuals 800 calories may be what's needed (although then one should be question why they are dieting in the first place). The more you reduce your calories, the faster you will likely lose weight, however remember that there is a limit to this where if you go too low you will only start losing muscle mass, causing your metabolism to slow, creating a metabolic environment that is going to be highly problematic and making the diet increasingly psychologically difficult. A good range to start with is 11-13 calories per pound of body weight and then adjust based on your real world results.